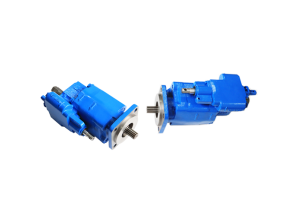 Hydraulic gear motor refers to a hydraulic motor that inputs pressure fluid to make two or more gears in the pump housing mesh with each other. Hydraulic gear motor has the characteristics of simple structure, small size and light weight. 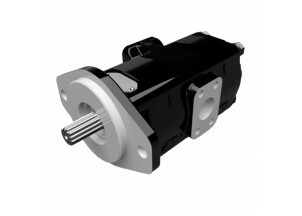 It is usually used in high speed and low torque situations. Gear hydraulic motor, referred to as gear motor, has the characteristics of simple structure, small size, light weight, small inertia, impact resistance, easy maintenance, and low requirements for oil filtration accuracy. But its flow fluctuation is large, its volume efficiency is low, its torque is small, and its low speed performance is not good. Gear motor can be divided into two types. One is gear motor based on gear pump, the other is specially designed gear motor. 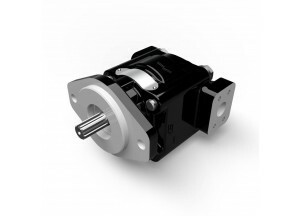 The former is similar to the gear pump in structure, while the latter takes into account some special requirements of the motor: for example, the motor often starts with load, the impact and vibration of external load are serious, and it can rotate in both directions. The structure of the gear motor and the gear pump is basically the same, but because the gear motor needs to start with load and needs to be able to rotate in both positive and negative directions, the actual structure of the gear motor is different from that of the gear pump. Because of poor sealing and low volumetric efficiency, the input oil pressure of gear motor can not be too high, and the torque is generally small, and its speed and torque are fluctuating with the meshing of gears. 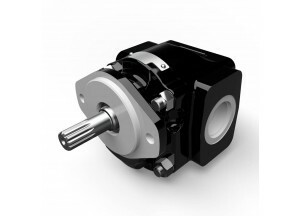 Therefore, gear hydraulic motors are generally used in high speed and low torque situations. Motor Drain: 9/16 - 18 UNF thread, on bottom. Shaft end cover: 76/31 Piggy back mount. Port end cover: Oil port: 1.25",1.25".